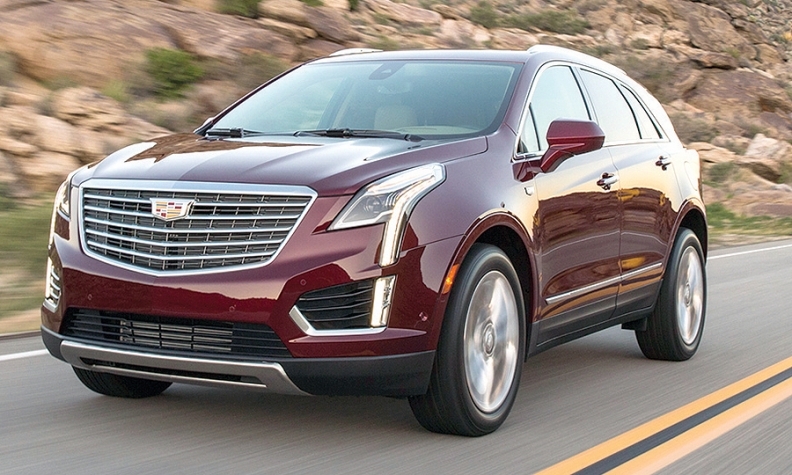 Cadillac sales are on the move — the SRX and XT5, pictured, were up a combined 57 per cent in 2016 — but product will be added to capitalize on the number of millennials entering the luxury market. DETROIT, Mich. — Mahmoud Samara, Cadillac Canada managing director, was smiling a lot at the 2017 North American International Auto Show in Detroit. General Motors’ premium brand reported a global spike in sales for 2016 of more than 11 per cent to 308,692. In Canada, sales rose 2.1 per cent. Utility vehicles are driving Cadillac’s performance, with 2016 XT5 and SRX sales up a combined 57 per cent over 2015, and the Escalade full-size SUV sales up 229 per cent, the company says. Calgary, which despite a weakened oil and gas sector posted record sales, Samara said. Overall, the western region saw sales grow by 70 per cent, he said. Canadians have developed a taste for luxury, Samara said. Forty-two per cent of all luxury buyers are entering the market for the first time, almost double the rate of the U.S. market. “Canada has more going into luxury than any country in the world,” he said. Cadillac unveiled no new models at the Detroit show, but the company has an ambitious US $12-billion global product plan, with new models arriving as early as 2018. Cadillac will prioritize those with the best potential for growth, such as compact utility vehicles, Samara said. Cadillac targets customers of the German luxury makes, which means that people interested in the BMW X1 and X3, the Mercedes-Benz GLA and the Audi Q3 are ripe for conversion. “A lot of customers attracted to those vehicles are the urban city customers, which is where the growth is coming from,” Samara said. Utility vehicles are expected to dominate the market for some years as millennials — generally, people born between 1982 and 2001 — embrace activity-oriented lifestyles, he said. Samara said Book by Cadillac, a subscription service launched in New York that allows customers to drive different models, will eventually expand into Canada.